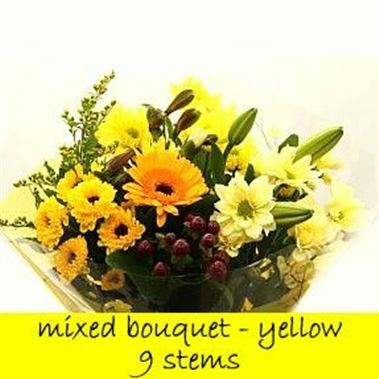 A batch of 10 retail ready Yellow themed Mixed Flower Bouquets. 55cm tall & 9 stems per bunch. (Black bucket not included - varieties may vary to image depending on availability).